Application Cost: Filing the FAFSA is free, but the PROFILE isn’t — it costs $25 to submit to one school, and $16 for each additional school to whom you have to send information. PROFILE fee waivers, however, are available to low income families. Financial Aid Application Timing: Though the FAFSA cannot be completed until January 1st of each year, the PROFILE becomes available earlier — in October. If your child applies Early Action or Early Decision to any college, the school might request the PROFILE be completed by November so that they can provide a tentative financial aid offer with an early admission decision. Income: Colleges using the PROFILE often expect families to contribute a smaller percentage of their income toward college than do colleges using just the FAFSA. The PROFILE formula gives greater allowances against parental income to cover taxes, basic living and employment expenses, education expenses, and medical/dental expenses, though it also “adds back” tax breaks like depreciation that don’t really impact a family’s cash flow. The PROFILE formula also allows for geographical cost-of-living differences that are ignored by the FAFSA. Large families with many allowances, or families from high cost zip codes, therefore, may see a lower Expected Family Contribution (EFC) at schools using the PROFILE. Assets: Families with assets, however, may have a different experience, as the PROFILE collects more information about the family’s assets and may treat those assets differently. The PROFILE requests information about a family’s home equity and the assets of a student’s siblings, as well as any small family-owned businesses, whereas these assets are excluded from calculations at FAFSA-only schools. The PROFILE, however, allows colleges to select different treatments for family assets that can actually reduce their impact in the financial aid formula. 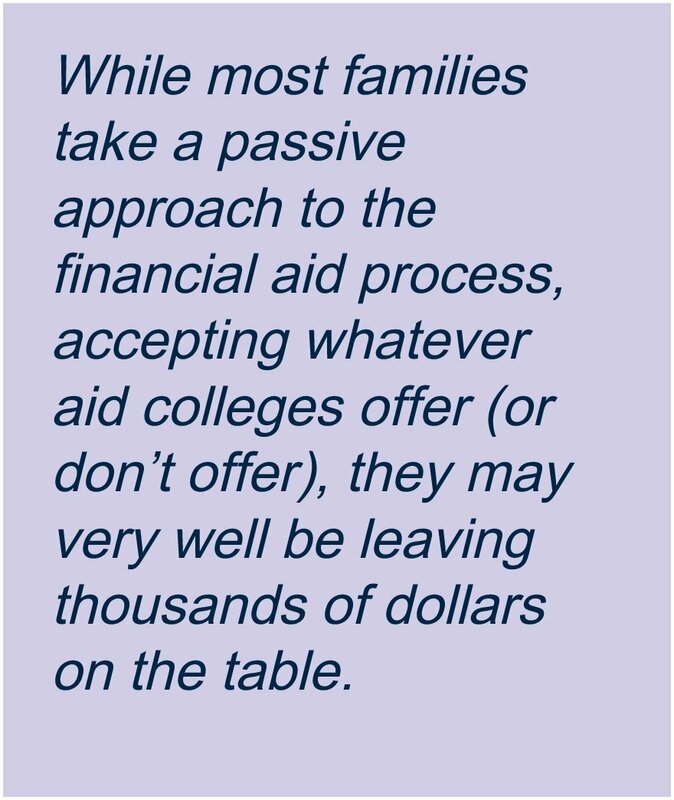 Family: PROFILE colleges also take a more all-encompassing view of a student’s family than do FAFSA-only schools. The FAFSA only considers the finances of the custodial parent(s), defined as the parent (and opposite-gender second parent/stepparent, if applicable) with whom the student lives the majority of the time. Schools that require the PROFILE, however, usually request the financial information of both the custodial and noncustodial (or same-gender second parent), as well as any stepparents, so that the entire family’s financial circumstances can be considered when making financial aid decisions. If noncustodial parent information is unavailable, this PROFILE requirement may be waived on a case-by-case basis by individual colleges. As always, pay close attention to the financial aid application requirements of each school, and, if you need to submit both the FAFSA and PROFILE, you may want to complete the PROFILE first, as it contains every question asked on the FAFSA and allows you to print a summary of responses that can be easily transcribed onto the FAFSA. You can then finally breathe that sigh of relief! And, don’t forget – you can always ask for more money!